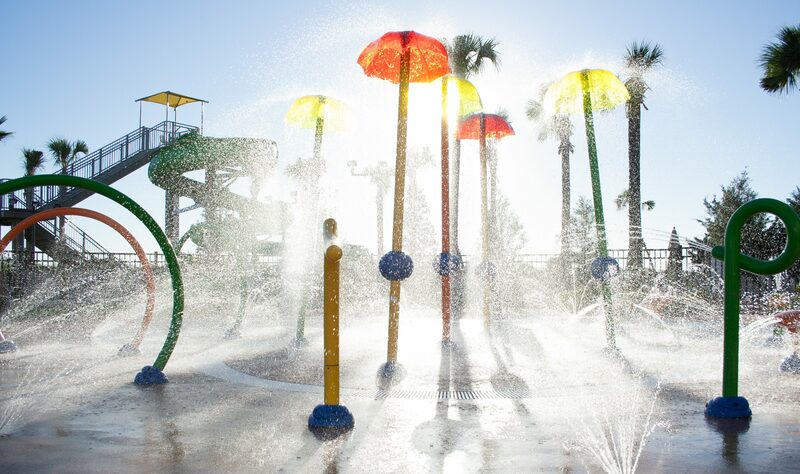 Interactive Water Features have transformed the way kids and families play. Far from the days when aquatic offerings for children were limited to wading pools and beach balls, today’s amenities combine a variety of water feature effects—misting, flowing, and jetting—and a collection of elements—slides, dump buckets, climbable structures, and water cannons—to create inclusive play experiences for all ages. 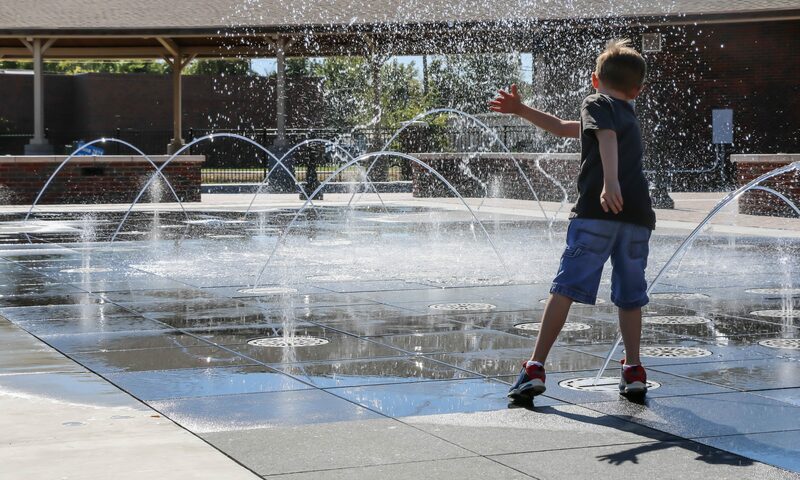 Whether small bubbling jets or towering playground-like structures, our interactive water feature designs offer resorts, municipalities, and parks a unique way to foster interaction with water. When planning the design for an interactive water feature, our creative team works with our development partners to determine not only the best use of space for an area, but also how the space will best be used over the life of the feature—whether it should have a zero-profile, in-ground installation, or a climbing structure with slides and other fixed vertical elements for spraying. With our experience designing these types of features, we guide owners in selecting the best options to manage their upfront budgets and their long-term operational expectations. Through our Pre-Design stage, we provide our clients with multiple options for the design of their space so that they can visualize colors, play elements, spraying effects, and floor patterns that create the perfect space for kids to just be kids. With children and families as the primary market for interactive water features, one of our highest priorities in engineering this unique type of feature is safety. Throughout ADE’s 30 years in business, we have specified aquatic equipment with the strongest commitment to safety on the market, using advanced filtration techniques that reduce the dependence on harmful chemicals or selecting slip-resistant finishes for surfaces and floors. Another consideration for this type of amenity is whether to engineer a zero-depth pad or include play elements as part of a shallow wading pool. No matter which design decision is made, ADE guarantees our engineering work for any interactive water feature design is complete and comprehensive. 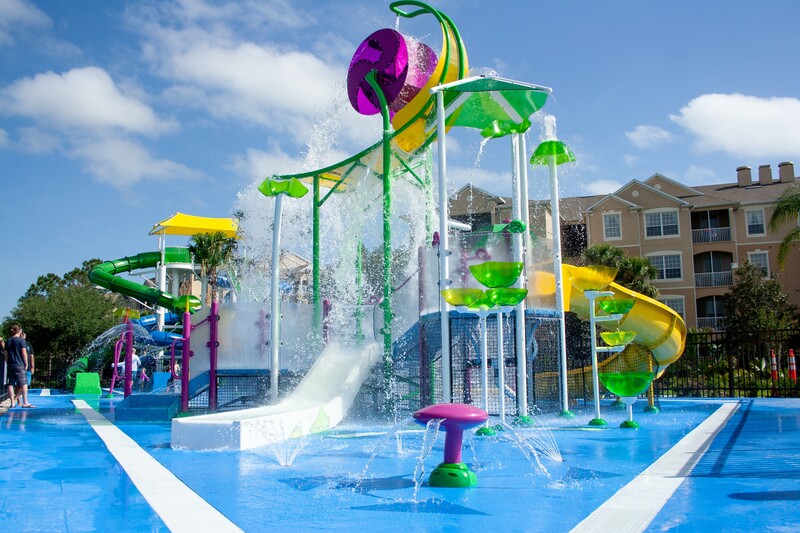 Because of the surge in popularity of splash pads and kids aquatic play areas, many times we find ourselves supporting clients who are renovating their spaces to include these elements, which can offer a unique set of construction challenges. Our experienced team can often utilize existing structural framework or consult with owners to minimize interruptions to their normal operations when the actual construction work begins. While safety and budget concerns drive planning, we know that timelines drive the construction phase, which is why our selection of equipment and materials is also focused on ease of installation. When it comes time to finishing up any interactive water feature projects, we work with the construction team to meet the owner’s deadlines so that they can look forward to the much-anticipated grand opening of their new aquatic element. From large and small, every interactive water feature we design is created to captivate the imagination and encourage people to engage with water. Let us help you design the perfect fit for your interactive water feature vision.